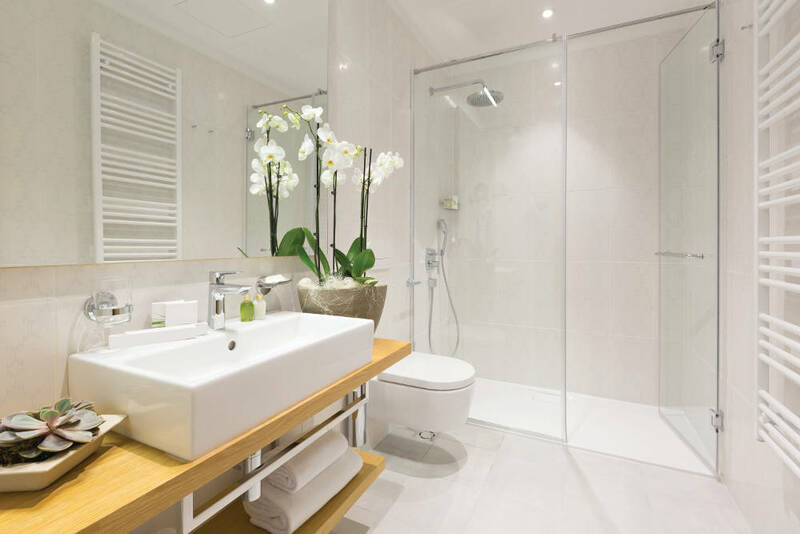 Clean lines, and no clutter, is Lee Moon of Lee Moon Interiors’s design philosophy for bathrooms. 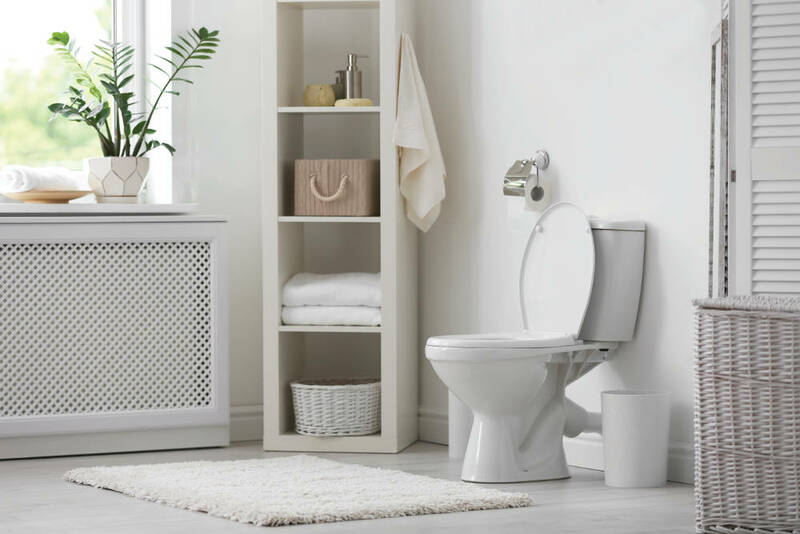 Top of her list would be to remove all outdated wall cabinets and wall tiles, and retile only where necessary with a light-coloured, neutral tile. 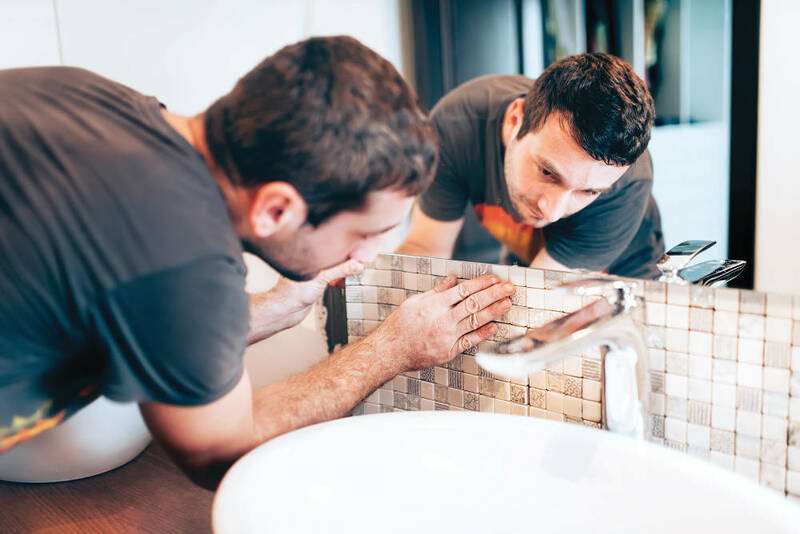 “I often use sheets of glass mosaics as these are reasonably priced, and have an amazing impact.” If you can’t or don’t want to remove tiles, she suggests scraping out old dirty grouting and redoing just that. “A successful way of changing the look is a plain, huge mirror, either ordered to size or standard, from hardware and homeware stores. I usually custom make, as I can choose a slightly thicker mirror (5mm) with polished edges. Install a large one above the basin directly onto the splash back, and if you have a bath, install another above it. Never install a mirror onto a plain plastered wall. Chemicals leach out of the plaster and react with the coating on the mirror and it will discolour very quickly,” she explains.